« Mtg Nostalgia: Re-Assembling my Very First Magic Deck – Elven Beatdown!! Dear friends and fans of Elemental Clash!! 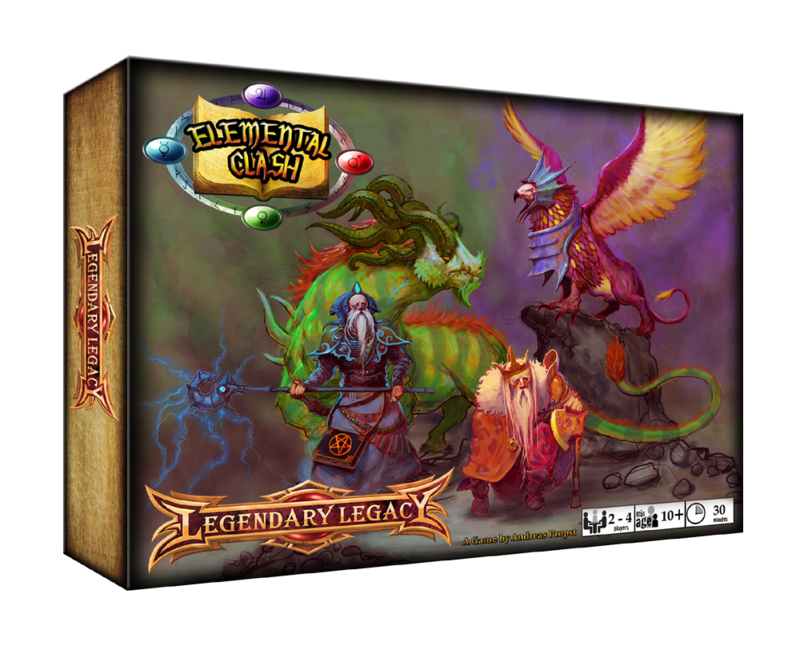 ELEMENTAL CLASH: LEGENDARY LEGACY is completed and AVAILABLE NOW on The Game Crafter!! You can purchase the expansion, which consists of over 250 exciting, brand-new and brilliantly illustrated cards – over 100 different ones – right now. Just click here and you will be redirected to the shop page on TGC! You can win 1 out of 3 highly exclusive and limited (no more than 10 copies will ever be printed!) EC: LL RELEASE PROMO PACKS, consisting of 36 never-before released, awesome and special Promo cards, some of them illustrated by my humble self! To enter the raffle just purchase a copy of Elemental Clash: Legendary Legacy (fair warning: The Master Set is required to play) until May 31st, 23:59 pm GMT +1 and send me an email to andreas.propst31@gmail.com with your receipt or just a screenshot or anything that proves to me you actually ordered a copy of the game and when the Raffle ends at midnight on 31st May (my birthday btw) 3 winners will be chosen in a random manner from all the people who participated. The three lucky winners will each get 1 of the ultra-limited, super-special Legendary Legacy Release Promo Packs. IMPORTANT NOTE: Due to immense international shipping costs from TGC, only US-citizens can enter the raffle! Sorry, all others, I don’t want to discriminate anyone but I simply cannot afford 40 dollars shipping for a small pack of promo cards – asking for your understanding. 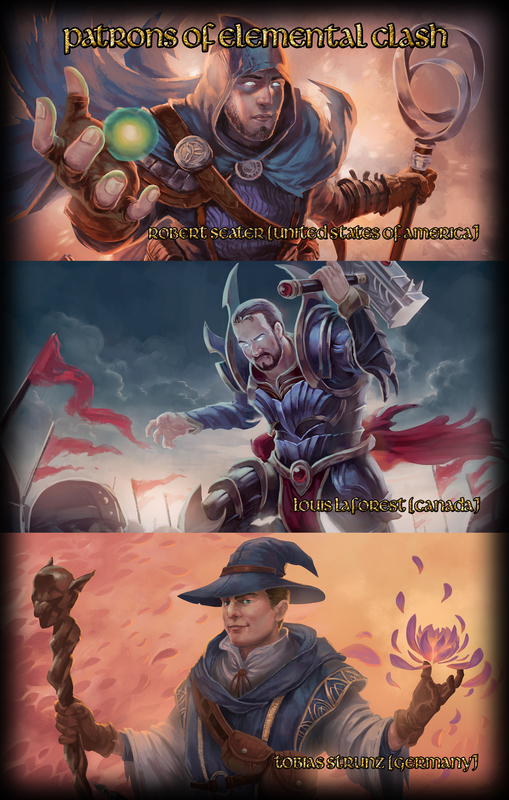 And if you are curious, here a slideshow of all the 12 different cards included in the Release Promo Pack! This exclusive Promo Pack contains playsets of 4 alternative art versions of the Master Set Dragons, 4 Austrian folk-tale inspired cards and 4 cards that I, the designer of Elemental Clash, have illustrated myself. Please do consider participating in the raffle – it is your chance to get some awesome Promos that will probably never be released again in this form and no more than 10 copies of the Legendary Legacy Release Promo Pack will ever be printed! Also please do share the news on your social media or tell friends about the game and the raffle. That would be much appreciated. as well as to all the countless other kind and enthusiastic people who have selflessly helped, supported and assisted me in making Elemental Clash: Legendary Legacy a reality!! You guys are awesome! !